Community Honda of Orland Park, part of the Wehmeier family owned auto group that has been serving drivers since 1975, is a new and used dealership in Orland Park, Illinois that will cater to your finance, purchase and service needs. We're Chicago's trusted Honda dealer, and it's easy to see why! From our personalized Honda CR-V shopping plans to our vehicle appraisal services, warrantied used cars for sale and courtesy shuttles, we're here to make your visit a fun, stress-free one, so don't hesitate to get in touch with our friendly professionals today. Whether you're looking to trade up to a new Honda Accord or are interested in exploring the pre-owned Civic models we have available, Community Honda of Orland Park has a vehicle in stock for you. Get a feel for our new cars for sale right now, input different filters on our website to enjoy narrowed down Honda results! We've also made a number of financing services available online, including a secure loan application, so don't hesitate to let us know how you're looking to finance a new Honda Odyssey. Our loan experts can negotiate a competitive package for you, even if you're currently dealing with a sub-prime credit situation! Our new and used Honda dealership will not only introduce our Bolingbrook, Illinois neighbors to impressive Honda options but we'll help your purchase run smoothly over the years, thanks to the professionals over in our service center. We offer a variety of maintenance and repairs, including complimentary services for our customers, such as pressure adjustments and wiper blade installation, so don't hesitate to visit us when the time comes for quality care. 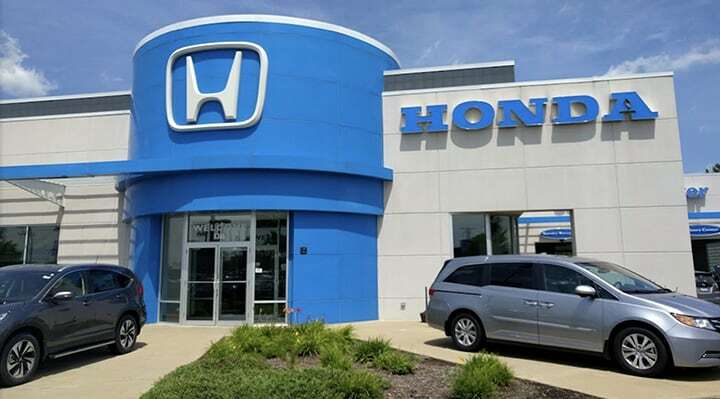 Our new and used Honda dealership in Orland Park, IL looks forward to going over the various ways we can be of assistance, so feel free to get in touch with us at your earliest convenience. Whether we're fulfilling a genuine Honda part order for you or sponsoring an event for the Genesis Therapy Center, we here for the all the needs of the communities we're proud to serve!